I just flew in from China and boy are my arms tired! 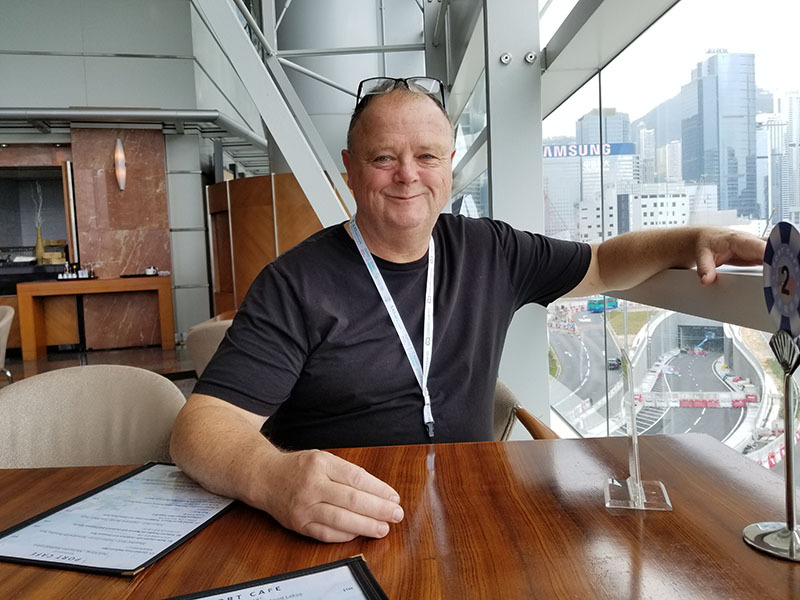 I want to reconnect as I have been in China over the last 10 days visiting 7 different factories and attending 2 major trade shows in China. 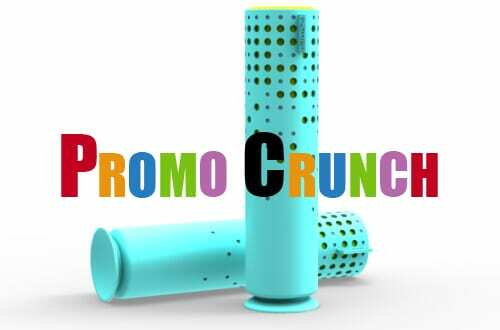 I want to let you in on what’s new and what’s happening in the world of promotional products. 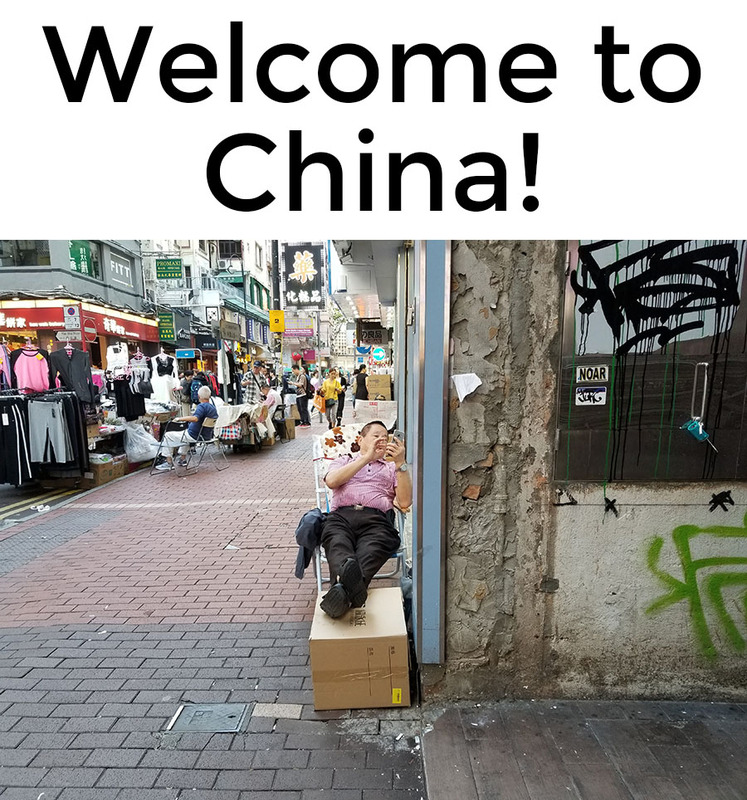 Or as I like to say… Welcome to China! 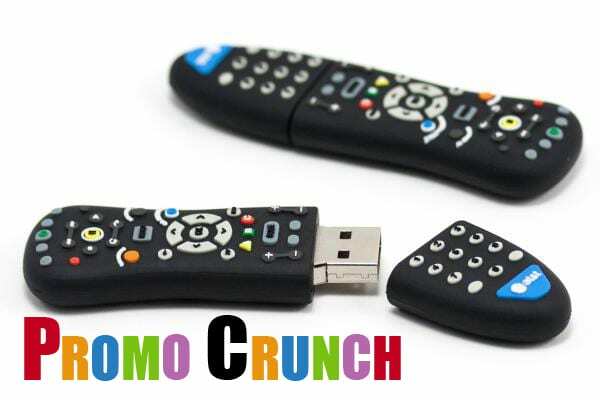 China direct product promotional products from promo motive. 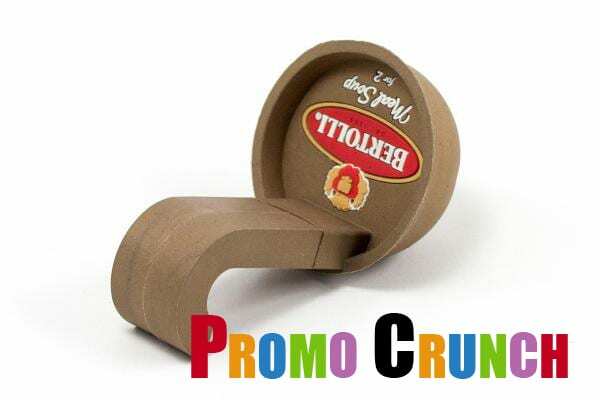 Get your logo on unique promotional products. ASI and PPAI promo. We go to China so you don’t have to! Maybe you think you want to go to China to find the latest and greatest in factory direct promotional swag for your clients? However, as I come to the end of my 30th or so trip to the Middle Kingdom, I would like to reflect on what it takes to really do China properly and how tough it is doing business with a country the same size as the USA and with 6 times the population! Aside from the problems in dealing with a population of over 100 million crammed into an area the size of Florida (the cities of Shenzhen, Hong Kong and Guangzhou), there are a huge number of oddities unique to China to deal with. On this trip, the funniest one I came across was on a taxi trip. In China a bad YELP review can cost you your life! I was in a taxi in Shenzhen when the driver got a phone call. He pulled to a complete stop in the middle of 10 lanes of traffic and got out of the car to talk/yell on the phone for 8 minutes. Turns out the previous customer had forgotten his jacket in the cab and was threatening to leave a bad YELP review (Chinese Yelp) and in China a bad review will put you out of business (apparently). After 8 minutes of the driver dodging traffic and yelling at the previous customer someone ran up to the taxi (the previous customer) and retrieved the jacket. The driver then got back in and off we went. Welcome to China. The first new idea we came across is…. The reason I go to China as often as I do is to find new factory direct promotional ideas. I do this in a number of ways. First, I walk two huge trade shows, one in Hong Kong and one in Shenzhen. Each day I walked just under 9 miles (as witnessed by my phone app). I also visit a bunch of factories looking for ideas that no one else has. 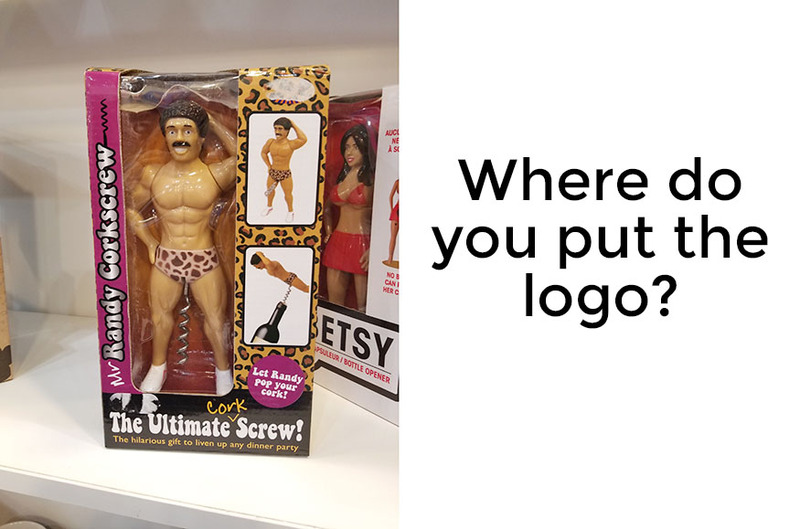 My goal is simple: find eye-catching products that are logo-viable. The coolest new idea I saw is a collection of toasters and waffle irons that not only have the clients logo on them but can toast the logo onto the bread. These are very, very cool! The second coolest new idea is…. Generally speaking, we don’t do bags. I usually find them way too boring and less than innovative. 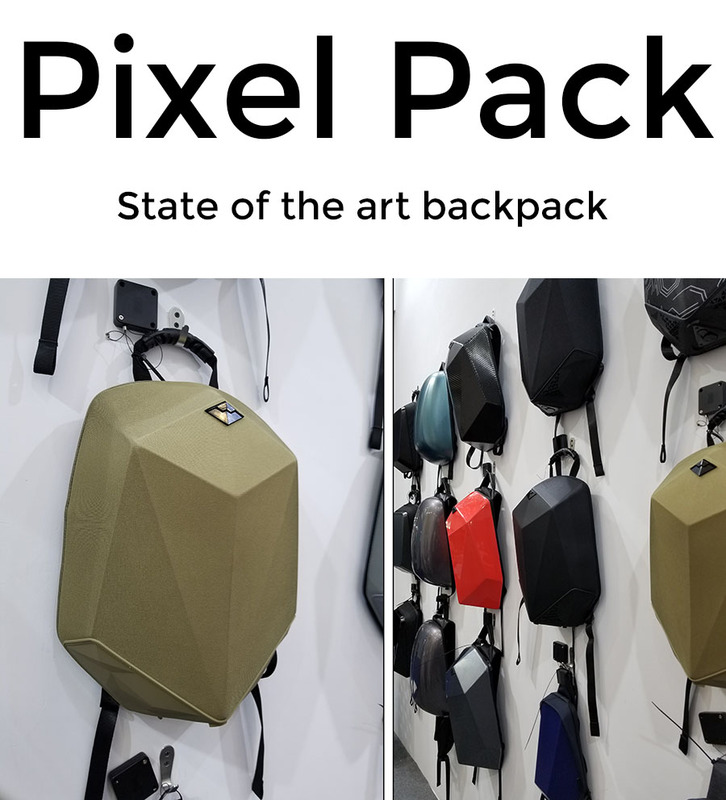 In my world I see many bag examples with crappy hardware, zippers and fabrics – all designed to come in at a price point that makes it “bound to fail”. However, this collection of backpacks was so awesome we just had to get them into the line-up. What do you think? Email me and let me know! The Art of the Deal… Chinese style! The Trumpster has nothing on the Chinese. In fact, negotiating with the Chinese can either lead you to pull out your hair or capitulate to the deal. The following video snippet is of my factory manager and a new supplier haggling over the price and delivery of a new item. This stellar deal making went on for about 25 minutes. In the end the price changed 4 cents! A win by Chinese standards! The Sip Flip is a collection of folding and collapsible silicone water bottles, cups and coffee mugs. I LOVE this idea as it is eco-friendly, reusable and very eye-catching. Breakfast…the most important meal of the day, except in China! I am sure we all can agree that breakfast is the most important meal of the day. I love a great cup or four of coffee accompanied by a steaming bowl of oatmeal, fruit salad or perhaps a nice muffin, hot out of the oven. If this is your idea of a great way to start the day, then you are out of luck when visiting China. China, world-renowned for great cuisine has somehow missed the boat when it comes to breakfast. The most popular breakfast dish in China is this awful combination of chicken broth, macaroni noodles and sliced process ham. Yum… (uggh). It was SO BAD I went to McDonalds! The ‘western-style breakfast’ in China is so bad I actually went to McDonalds! Now you would think that a McDonalds here or a McDonalds there would all be the same wouldn’t you? Not so fast! 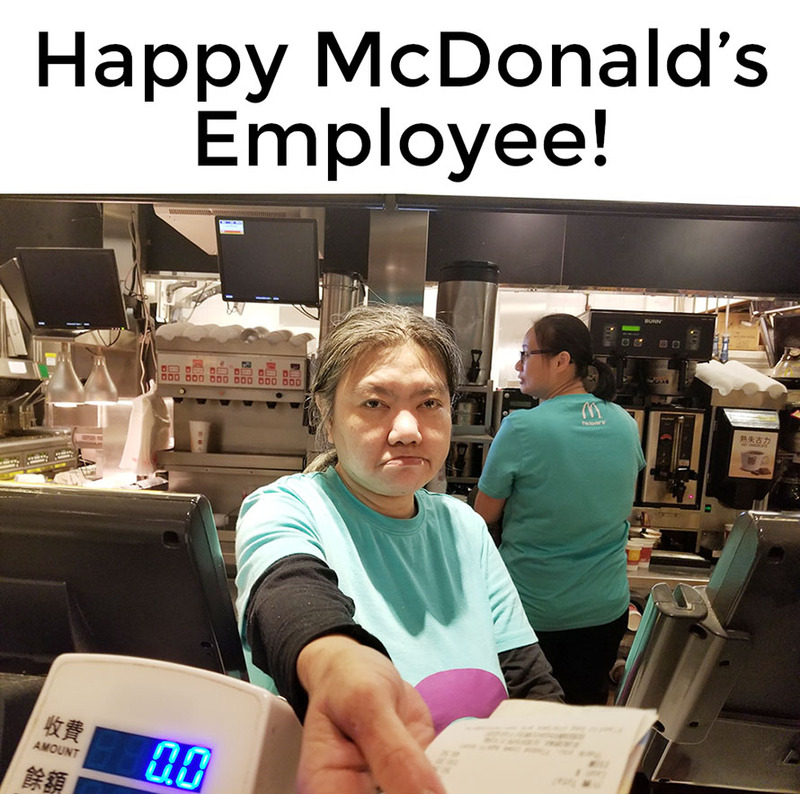 The following is the ‘happy go lucky McDonalds employee’ handing me my stone-cold egg McMuffin. My best advice if looking for breakfast while in China… go straight to lunch. 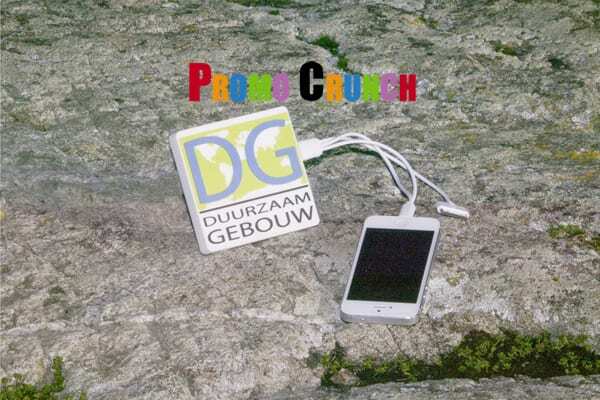 Cool new promo idea #4 is…. Puzzled by this? So was I… but after thinking it over, I know this could be huge. As we have a long history of doing custom shaped promos such as power banks, flash drives and others, the idea of making a custom shaped foam core puzzle in the shape of your clients product is very familiar. Think of the idea below as a great example. (i.e.) 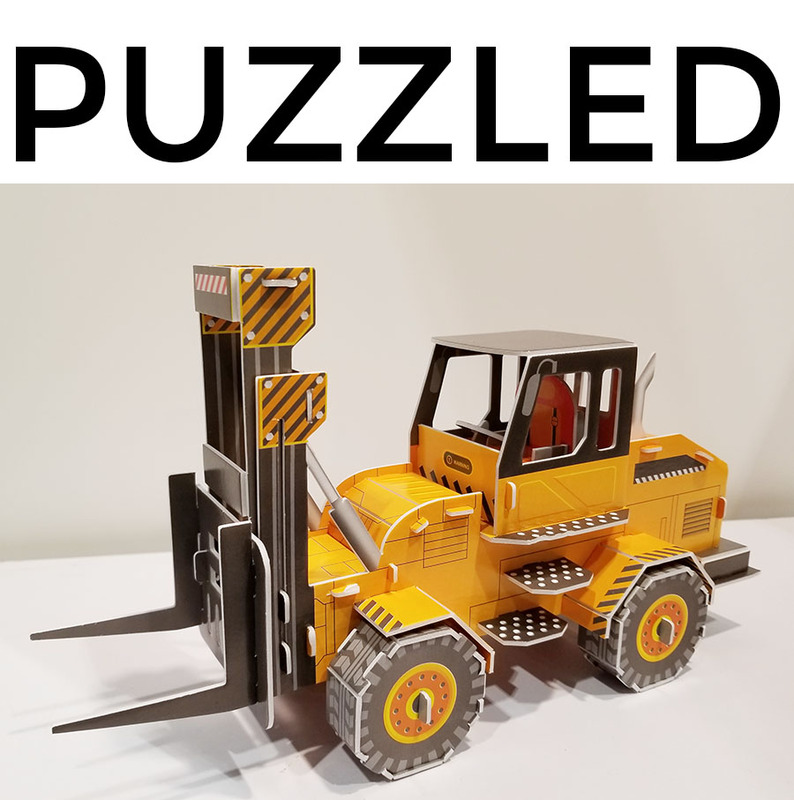 The local Caterpillar dealer gets you to have us make one of their diggers done in a 3D puzzle complete with their logo on it. The end-user/recipient spends an hour “unplugged” making the puzzle and at the same time staring at the customers logo. Brilliant! I really dig deep when I go to the shows and factories. I turn over every leaf and basket looking for new ideas to put your client’s logo on. This one was proudly displayed in the housewares section of the show. This makes me wonder what the rest of their house looks like? I am also concerned on this one… where does the logo go? 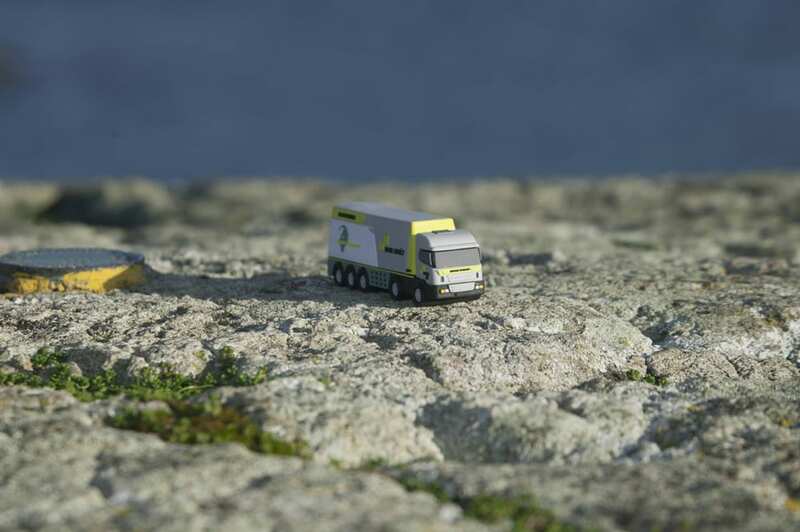 More ideas to follow… stay tuned! We have another 5 or so new ideas that I would love your opinion on. I will post these in the coming days. Thanks for your continued support and let me know how we can continue to be your best supplier! New Ideas are the Lifeblood of the Promo Industry Who knew Funeral Directors were this much fun?